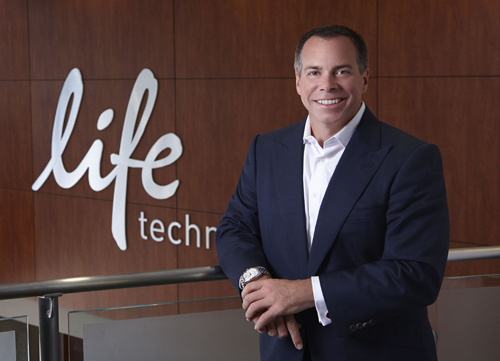 Greg Lucier has made his first investment since his days as chairman and CEO of Life Technologies as a member of the investor group behind Edico Genome. A San Diego startup whose technology promises to enable the clinical use of genomics by radically reducing the cost and time of analyzing next-generation sequencing (NGS) data is attractive enough to have drawn Gregory Lucier among investors that have joined to raise $10 million in Series A financing. Lucier has made his first investment since his days as chairman and CEO of Life Technologies as a member of the investor group behind Edico Genome, which announced the financing today and said it plans to bring to market its Dynamic Read Analysis for Genomics (DRAGEN) Bio-IT Processor this fall. The group was led by Qualcomm’s venture investment group Qualcomm Ventures, and included Axon Ventures—as well as Lucier, who will join Edico’s board of directors: “Edico Genome's solution to speed data analysis and lower costs has the potential to have a large impact on many areas of medicine, particularly in oncology and noninvasive personal testing,” Lucier said in a statement. According to Edico, DRAGEN slashes the time needed to analyze a whole human genome from 24 hours to just 18 minutes, while retaining the accuracy of today’s analysis carried out by clusters of large servers. A single DRAGEN accelerator card can do the work of the 50 servers needed to analyze, for example, the more than 18,000 whole human genomes a year produced by a full Illumina HiSeq X Ten system, at a savings of $6 million over four years. That savings includes reduced compute requirements, lower overhead costs (such as for IT staff, power, and rack space), and reduced data upload costs and data storage costs, since DRAGEN also compresses the raw data for long-term storage. Introduced in January at the JP Morgan Healthcare Conference, HiSeq X Ten dazzled investors and others by breaking the $1,000-genome sequencing cost barrier—a figure that includes reagents and sample prep, DNA extraction, hardware, and labor. DRAGEN is designed to lower that expense further by drastically cutting hardware costs, which Illumina has estimated at $137, assuming 116 “runs” per year per system, each run sequencing 16 genomes, and four-year depreciation. “If you look at HiSeq X Ten and you do [analysis] on servers, including storage and everything, all that processing, etc., it’s about $150 per whole-genome sequence. Ours is a fraction of the cost—maybe in the $20–$30 kind of range,” Edico’s CEO, Pieter van Rooyen, Ph.D., told GEN. The technology, according to Edico, is the world’s first NGS bioinformatics application-specific integrated circuit (ASIC). Embedded on a PCIe form factor card, DRAGEN will be sold with accompanying software as a platform-as-a-service or Paas platform for integration into sequencers and NGS bioinformatics servers. DRAGEN uses a processor with algorithms for mapping, alignment, sorting, and variant calling. Dr. van Rooyen is one of three founders of Edico. The others are Robert McMillen, Ph.D., vp of engineering, and Michael Reuhle, director of system architecture. DRAGEN will be launched commercially during the American Society of Human Genetics’ 64th Annual Meeting, set for October 18–22 in San Diego. He said a huge part of Edico’s success to date has been its ability to benefit from EvoNexus™, the business incubator of CommNexus™, a nonprofit high-tech trade organization in San Diego. Edico is one of 28 startups housed by EvoNexus, through which Edico connected with its investors, including Qualcomm as well as Lucier, whose Life Tech was acquired by Thermo Fisher Scientific for about $13.6 billion, plus assumption of $1.5 billion in net debt, in a deal completed February 3. The incubator has a relationship with Qualcomm through the Qualcomm Labs initiative, which facilitated an earlier seed investment in Edico by Qualcomm Ventures—and led to the financing from Qualcomm Ventures.